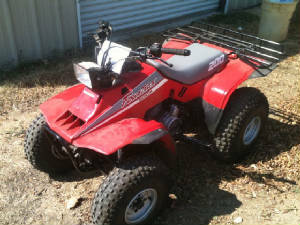 We now feature ATV and UTV repair! 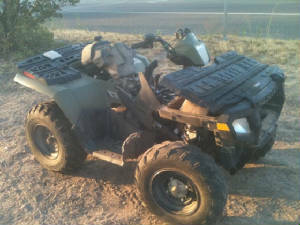 We have no official or OEM ATV or UTV training, but our experience in the outdoor power equipment industry coupled with third party motorcycle and ATV repair training have equipped us well to handle your ATV and UTV service needs. We are supplied with OE parts from a parts distributor who allows a pricing discount on our parts without any powersports OEM affiliation. This allows us to sell these parts at the same price as your local dealer for your particular make of ATV or UTV. We also have access to aftermarket parts upon request. 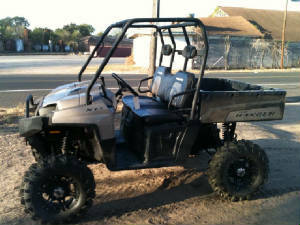 We offer the following OE parts: Arctic Cat, BRP, Can-Am, Honda, Kawasaki, Kymco, KTM, Polaris, Suzuki, Sea Doo, Yamaha. We have access to the following aftermarket parts for your convenience: N2, Tucker Rocky, Parts Unlimited.